Thewestside.org works to improve the quality of life of Upper West Siders in New York City through providing access to educational enrichment and enhancing the neighborhood footprint. We were asked to develop an identity for this new organization that not only represents the neighborhood it serves but also communicates the spirit, culture, and mission set forth by its founder, Neil Fitzgerald. By working with educators, parents, retired school administrators, and businesses, the organization identifies and overcomes obstacles to the equal distribution of resources, and engages in efforts to assist and promote the beautification of the neighborhood. This is accomplished by providing educational programs for children of families with limited financial means, while simultaneously combatting community deterioration and by undertaking or funding streetscape improvements. 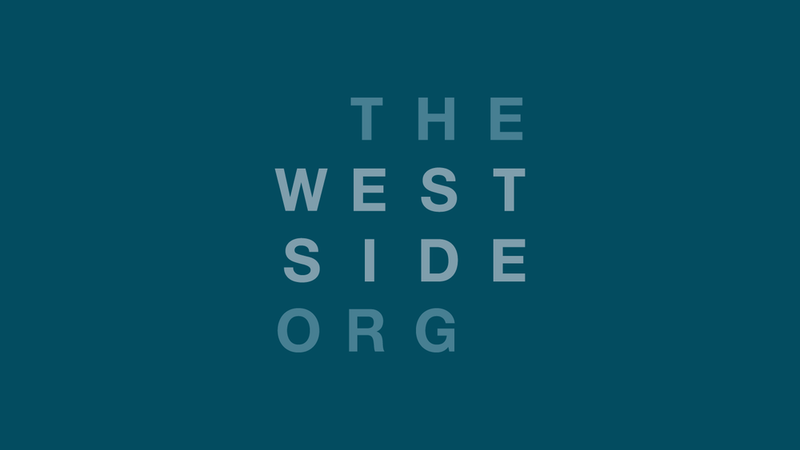 Solid letterforms in a strict grid emulate the grid structure of the city itself, while the pronounced “West Side” brings the neighborhood name to the forefront. 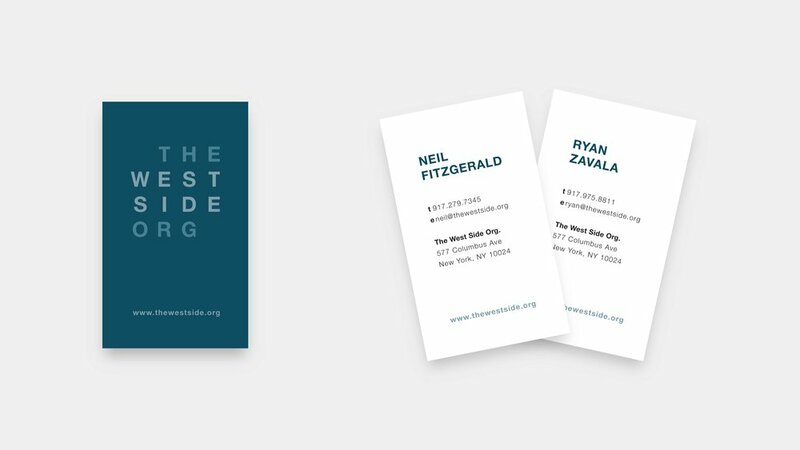 Business cards and letterhead extend the brand language and encourage participation with the organization. For the letterhead and other applications, the logo can be reversed on white background.